We at EnergIce® believe that our customers know a good thing when they find it, and they will continue to choose EnergIce® once they try it. That has been the secret behind EnergIce’s® overwhelming success. We also know that a company is much more than just its name, its products, or a cool website. We know providing efficient energy to athletes allows us to save thousands of bottles from being strewn in fields all over this land. At EnergIce®, we take extra steps to be good to not only our athletes, but also our community and our environment. We took the time to innovate, listen, change and redefine EnergIce®, and would not rest until it was not only the perfect taste, but also the perfect size. EnergIce® is cool and clean energy for athletes everywhere and for the parents just like us cheering them on! 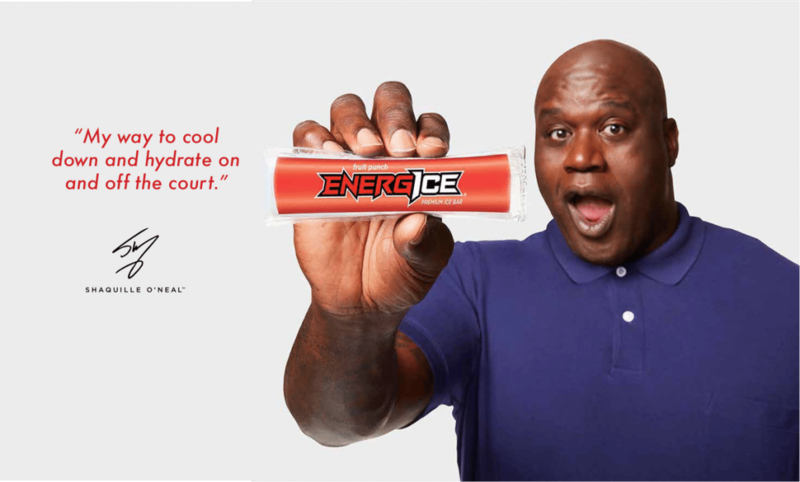 With our partner Jel Sert & ABG/Shaq EnergIce® is now in National Retail Distribution. We have rebranded the packaging, removed the artificial coloring, launched our new website www.energice.com, and believe we are well positioned to take EnergIce® to the next level of becoming a performance lifestyle brand. · 14,000 Dollar General Stores- America’s neighborhood general store. We strive to make shopping hassle-free and affordable with more than 14,000 convenient, easy-to-shop stores in 44 states. We have also received commitments from 4.395 other retailers which will begin in May 2018. We have also had many other meetings where we anticipate shortly other major national retailers will take EnergIce® in the US. We are also discussing opportunities in several countries outside the US for EnergIce®. On the sports side we continue to pick up more Professional & Collegiate/Universities who love the product. We will be showcasing the new EnergIce® at the National Athletic Trainers Association “NATA” in early June in New Orleans at the vendor show where there will be over 8,000 Athletic Trainers attending the conference. In November 2017, EnergIce® signed a National Sponsorship/ Strategic Partnership with ProCamps®. Founded in 1998, ProCamps® is a best-in-class event management and sports marketing company specializing in developing, managing, and operating camps, appearances, brand activations, and related experiences for professional athletes and coaches in the NFL, NBA, MLB, NHL, MLS, PGA, ATP, NCAA, NASCAR, WPSL, MLL and NFHL. ProCamps® helps Fortune 500 brands activate and execute more than 175 events across the country to effectively deliver brand messaging to thousands of parents, kids, and coaches via retail promotions, TV/radio/print, social media, and on-site activation. https://www.procamps.com. Working closely with ProCamps® will continue to help build the EnergIce® brand. We will be afforded many opportunities through this relationship to showcase EnergIce®, promote the brand and drive traffic to our retailers. · EnergIce® logo on ProCamps.com website as a National partner and on shirts/other apparel provided to Camp participants. · EnergIce® will sponsor camper of the day and be the hydration break of the day. · EnergIce® will be recognized as an event partner in camp media and in all camp promotional materials. · EnergIce® will have the opportunity to use camp to create traffic-driving, PR and/or partnership awareness campaigns. EnergIce® will have several complimentary spots per camp and invitations to the EnergIce® appreciation meet and greets per camp. EnergIce® e-blasts to ProCamps® database. · EnergIce® will display 2 banners per camp and have booth space on site/interact with parents. · EnergIce® will include promotional information/items in camper gift bags and have the ability to hand-out EnergIce® merchandise (apparel) during Camp.